The Foo Foo Festival is known for being 12 days focused on all things artistic, including incredible culinary experiences. These experiences are not only focused on taking visitors on a foodie tour of what Pensacola has to offer, but also tastes from around the world. This year the experience starts with East Asia with Tastes of Japan. Presented by the Japan-America Society of Northwest Florida, and held at SoGourmet, the event spends five days focusing in on Japanese cuisine. From November 5 through 9, attendees can check out a guest chef preparing a menu centered around a specific culinary theme, such as shared ingredients or a particular city or region, and learn about the cultural significance of the dishes and how they have changed over time. The menu changes each night with a guest chef leading the demonstration and tasting. Rounding out the last two days of the Festival is Pensacola EggFest, a fun event that over the years has grown into a full weekend experience for locals and visitors alike. 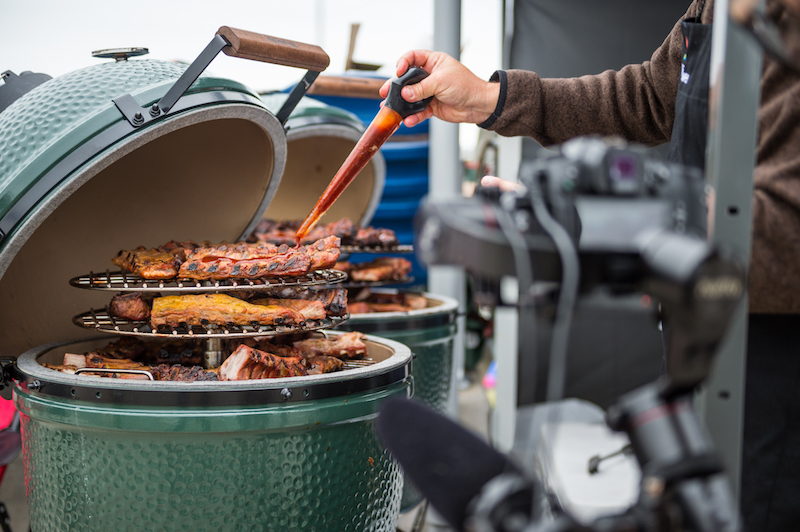 A celebration centered around the culinary art of grilling, smoking, and baking on the world-renowned Big Green Egg, EggFest includes cooking teams from all over the Southeast, all of whom exclusively cook with the versatile cooking device. On Friday, November 9, the VIP Experience will host the inaugural “Iron EggChef Battle” and includes a panel of local and regional celebrity judges. Then on Saturday, visiting judges, cook teams, and food bloggers will have their own VIP Experience that includes charter fishing, beach visits, and other Foo Foo events. The entire egg-stravaganza culminates on Sunday with the main EggFest event at Blue Wahoo’s Stadium: a replica of Iron Chef’s “Kitchen Stadium” on the field and the winning dish from Friday’s event being recreated and freshly made for all attendees to taste. While there’s plenty of delicious dishes to please the palette during the Festival, with it being in downtown Pensacola, there’s no reason not venture out and take advantage of all the area has to offer. The immediate area offers up a little bit of everything when it comes to culinary treats. The seaside location is home to a variety of seafood restaurants, like Atlas Oyster House, a favorite of locals. Situated on the Pensacola Bay, Atlas Oyster House boasts a waterfront dining opportunity and is known for fresh fish options such as red snapper, group, and mahi mahi, and of course, oysters. Fish House is another picturesque destination that sits dockside overlooking the Bay and Seville Harbor. The award-winning Fish House of course offers fresh seafood options, along with amazing steaks and sushi. But it’s best known for its signature dish: Grits a Ya Ya, smoked Gouda cheese grits covered with fresh cream sauce, sautéed Gulf shrimp, spinach, mushrooms, bacon, garlic, and shallots. The local favorite also features the Deck Bar at the Fish House, a massive deck that’s the place to be after dark. A local institution is Skopelos at New World. Ranked in the top 100 places to eat in Pensacola by TripAdvisor, Skopelos was started by Pensacola Celebrity Chef Gus Silivos back in 1959, and since it opened its doors it has welcomed thousands of diners, including former President and First Lady George and Barbara Bush. Here diners can expect coastal cuisine with a Mediterranean flair—all done with local ingredients.